Details: Possibly the most elusive of the Metrobus service vehicles are the two based at the engineering depot at Lagoon Road. 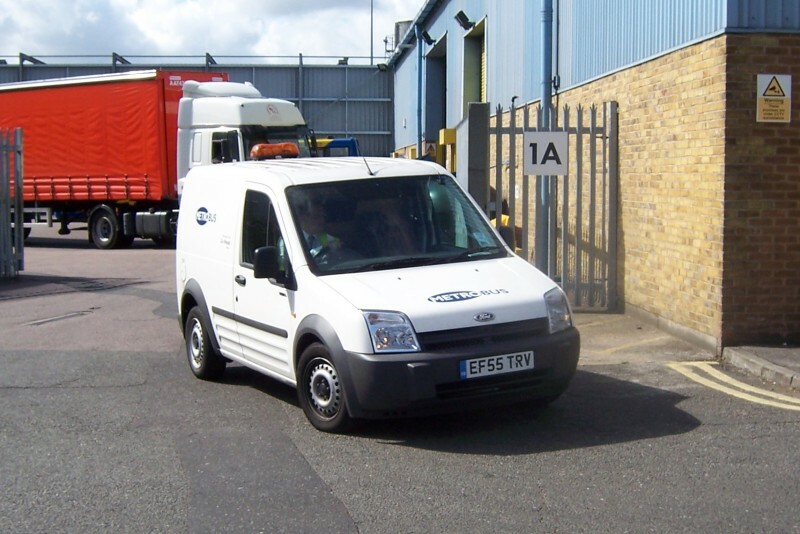 Photographed as it left that location on 14th August 2008, Ford Transit Connect van EF55TRV is numbered 9007 and, according to the company website, serves as a 'Risk van'! Note the small light-bar.